Researchers are working toward an understanding of the distribution of tears in the eye, and the discoveries they’re making could lead to better treatment or even a cure for dry eye disease. The newest study was published in the journal Physics of Fluids. Dry eye disease afflicts millions of people worldwide, with symptoms such as pain, dryness, redness, reduced visual sharpness, and feelings of grittiness. 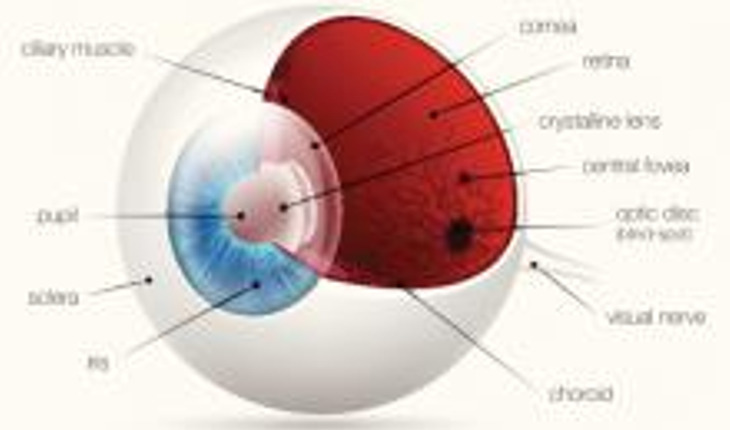 Eye drops can help, but over time, dry can damage the cornea and lead to permanent reduced vision. When the tear film functions properly, a thin liquid film coats the eye surface during a blink by the upper eyelid, creating a smooth optical surface for vision and allowing us to see clearly. "With dry eye, this optical function is disrupted by either insufficient tear volume or by excessively rapid evaporation of water from the tear film," explains Richard Braun, a professor in the University of Delaware's Department of Mathematical Sciences. "In either case, the tear film may not be able to form a smooth optical interface for a sufficiently long time to allow normal eye function." Braun and his colleagues used a mathematical model to work toward solving the dysfunctions in the tear duct system. "Our mathematical results captured how tear fluid makes its way around the eyelids to the drainage holes called 'puncta,' in the inside corner of the eye," he said. Among the team's key findings was verifying that it takes "a blink" to redistribute tear film. Braun believes their results "may aid in the development of better treatments for dry eye, and also add valuable context and understanding for current imaging techniques used to observe tear film dynamics."